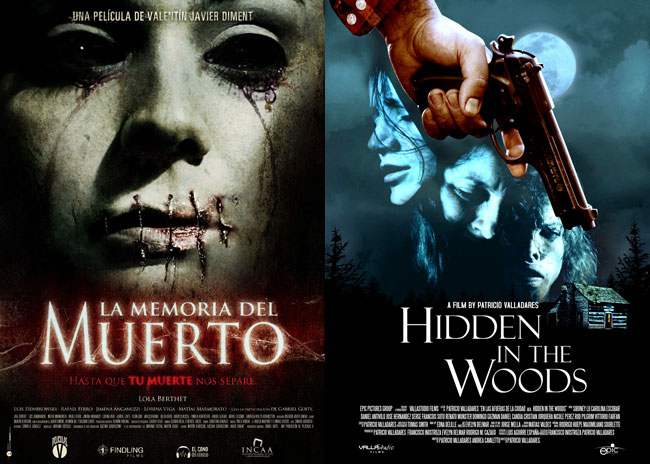 See two of the most talked about international horror films back-to-back, uncut and unrated in all their grisly glory! PhilaMOCA, in partnership with Artsploitation Films and Danger After Dark, presents the Philly premiere of Hidden in the Woods (Chile, 2012) and Memory of the Dead (Argentina, 2012) on Thursday, July 18th. Based on a bizarre true story, Chile’s Hidden in the Woods depicts three siblings surviving on the run after escaping torture and imprisonment at the hands of their drug dealing father. An army of assassins is hot on their tail, and amidst a slew of bloody executions, roadside prostitution, sexual assault and good-ole fashion cannibalism there is an outrageous streak of dark comedy making this a grindhouse classic for the 21st century. Which brings us to Argentina’s Memory of the Dead a stylish, inventive supernatural shocker that follows grieving widow Alicia after the sudden death of her husband Jorge. Alicia assembles all of his friends to a vast country manor for a reading of Jorge’s final letter to his peers. But Alicia also has other plans in mind, for she is helping her husband return from the grave through a spell that will find all of the gathered guests forced to confront the (literal) ghosts of their individual pasts. To purchase tickets in advance, click here.